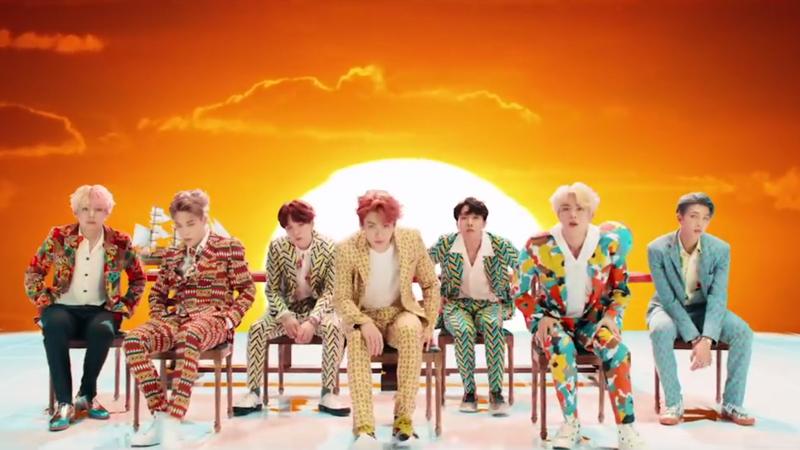 BTS's new album is Love Yourself: Answer. If you're an American without teenagers, there's a chance you might not even be aware of the degree to which the Korean boy band BTS has become a worldwide pop juggernaut. But "Idol" — now a U.S. chart hit for the group and guest Nicki Minaj — promises to blow open a stateside crossover years in the making. Need proof? This morning brings the video for "Idol," and it's an absolute explosion of the stuff a billion YouTube views are made of: relentless energy, dance moves that get their own hashtag (and their own not-so-subtle invitation to viral stardom via the #idolchallenge), and a guest feature from the omnipresent Minaj. The song itself doesn't break much new ground lyrically — it's an ode to individuality that just about anyone can dance to — but commercially? That video is about to be everywhere. Got kids? Feel like pulling a prank on them? School doesn't let out for hours, which gives you more than enough runway to watch the "Idol" video dozens of times, tell them all about every detail the moment they walk in the door, and ruin BTS for them forever! Love Yourself: Answer is out now via Big Hit.